February 22, 2008 - Make sure you like EcoJoes on Facebook to stay updated on green ways to save money and help the environment. Just click the "like" button below. Muchas gracias! He did it cheaply. The bus cost about $2,000, he did most of the work himself (or with his friends), and he got a LOT from the dump, craigslist, or freecycle. 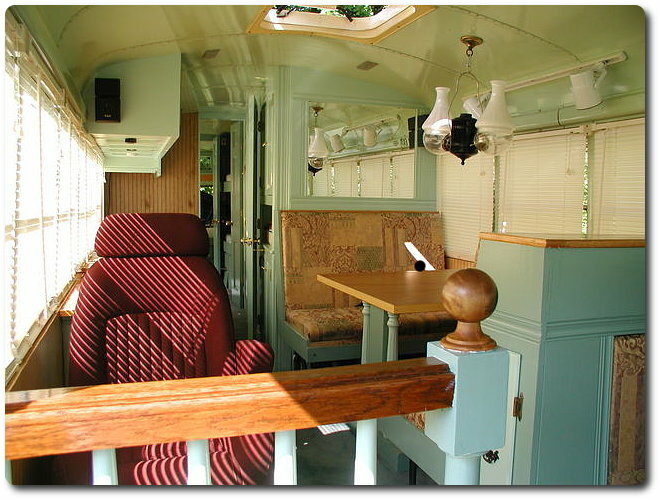 He reused a lot of materials, thereby creating his RV in a very “green” way (reused bus, materials from dump, reused mess off websites). You can see the process of the bus’s conversion. Seeing all the steps it takes is really interesting, and makes me want to (one day) attempt something like this. It’s really cool, so por favor take a look at it. Anyhoo, enough with my thoughts. Enjoy this video of Von Slatt giving you a tour of his homemade RV that came from a lil’ ol’ cheese bus. Posted in cars, eco hero, green construction, inventions, projects, reusing, save money	on Friday, February 22nd, 2008 at 1:10 PM. I wish I had that kind of creative talent! That looks really great! I could see myself riding around in such luxury. I wish I had the creative talent too,it looks great!!!!!! Very nicely done conversion and video. What do you do to keep your useable water and septic from freezing in the winter? That's a good question for the guy that built the bus. I'd be interested in hearing that answer, too! Thanks for sharing your thoughts on von slatt. Great service, everyone was knowledgeable and friendly. Thanks for sharing this valuable information!!! This is a great idea transforms reused bus into wonderful RV. This is very informative. Thanks for sharing your valuable thoughts!!!! !